Perry Michael Simon wrote a great piece on All Access.com last Friday explaining how radio would have ended up in the shape it’s in today…consolidation or no consolidation…big companies or little mom and pop companies. It’s the road taken that would have been different. I have to agree with him. The technological advances in other mediums, that radio in its arrogance has ignored until it’s almost too late, would have happened whether there were strict ownership limits or not. Candidly, consolidation at least gives the radio industry a fighting chance against so-called “new media.” If it were still an industry made up of mom and pop ownership, radio could not compete with the likes of Pandora, YouTube or iTunes. There’s nothing wrong with progress, you can’t stop it. Progress and evolution are a natural order of things. There’s nothing wrong with technology and its advances, you can’t stop that either. We can’t wish for the good old days, because that’s not where the consumer resides today. They live with their smartphones in hand and tablets under arm. I have both and always travel with my MacBook Air too. The consumer is connected 24/7. For any industry to survive it has to adapt. The consumer is always searching for something new, shiny and cool to make their lives easier, better and more interesting. Even though you’ve been repeatedly told differently about the creation of diversity in ownership and programming by industry mouthpieces, consolidation of radio ownership was always going to reduce the industry down to a handful of big companies owning all the best facilities in markets, a few smaller companies owning the scraps and the same songs and the same talk programs on station after station. All you had to do (back in the day) was do the math. It will take a few more years and the handful of companies remaining will be reduced down to just a couple and thousands of more jobs will be lost. It will happen. Big company consolidators, cut throat Private Equity vagabonds and the banks willing to loan them money were attracted by the high margins that would be created through consolidation. Only it didn’t work out that way and the business struggles because of high debt, massive lay-offs, low pay, little new blood and no incentives to create new, forward thinking products. In 2014 we now know the economic realities that were unforeseen when the Telecommunications Act of 1996 was signed into law by President Bill Clinton, the bill that opened the flood gates of consolidation. This morning I read the National Association of Broadcasters’ (NAB) latest 187 pages of thoughts to the Federal Communications Commission (FCC) once again using the same 40 year old logic for relaxed ownership limits. The NAB still maintains that even larger ownership groups using “consolidation” will promote “diversity” in ownership and programming. Let me define a few words for the NAB lobbyists bought and paid for by the mega media owners. “Consolidation” is about combining. Unification of resources. Consolidation results in reduction. By definition, consolidation won’t allow for risk. Consolidation promotes sameness or status quo. 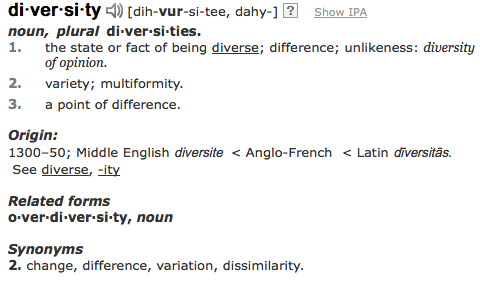 “Diversity” is about expansion, variety and differences. With diversity, risk taking is encouraged. Diversity promotes differences and discourages the status quo. 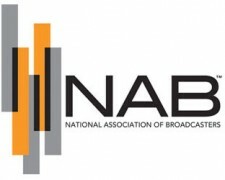 With a straight face the NAB continues the propaganda that allowing greater reach of consolidated media ownership in markets and more consolidation of radio and TV stations and newspapers it will promote diversity in ownership and diversity in programming. I must say they fib with the best of the politicians and considering their offices are in Washington, D.C., they can’t ask for better training. Those hefty lobbyist salaries and nice Washington offices are paid for by the very mega media companies wanting a few more radio and TV stations on their ownership list, so the NAB has to keep parroting the propaganda. “Pravda” would be proud. In fairness, much of this document is about broadcast television and was crafted by the NAB for the FCC’s quadrennial ownership regulations reviews. The FCC won’t be considering any action until mid-year 2016. Wait. There’s an election that November! Make that 2017. In the Radio Act of 1927, a clause was included for the first time meant to be the “operational standard” in holding a broadcast license. Stations were to operate in the “public interest, convenience and necessity.” The meaning of this clause is very clear (to me at least).